On a mid-autumn night in Taipei City, along the Gong Guan riverside (FeHe Bridge Riversideside Park), 53 runners gathered to go fast. It was the second edition of the RUNIVORE Riverside 5K time trial, an event, as the name suggests, aims to test their 5km speed. With half marathons, marathons or even ultramarathons being all the rage these days, being able to properly run “little runs” such as 5Ks are often forgotten. 5K time trials are a great way to improve speed by getting comfortable with moving your legs faster and boosting VO2-max. Time trials of any distance is also excellent for keeping track of current levels of performance to see if you are training well. Trust me, if you can run a 5km well, it will definitely help you run longer distances better. It’s a great workout. On October 19th, the runners started in three separate waves on an out-and-back course. In the first edition in September, 27 runners toed the line, so the event has already doubled in size and attracted more runners that are serious about speed training. Only one runner broke 19 minutes in September, but this time 6 runners got under 19 min and five more ran sub-20 min. 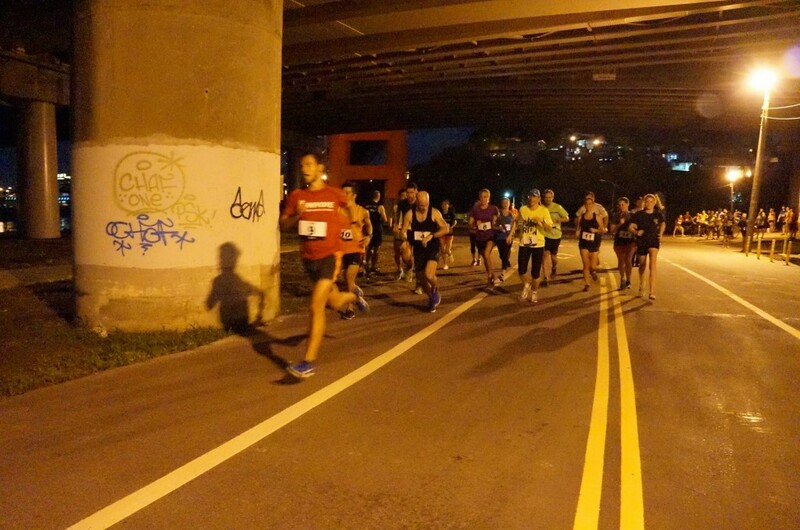 But the RUNIVORE Riverside 5K is for runners of all levels. 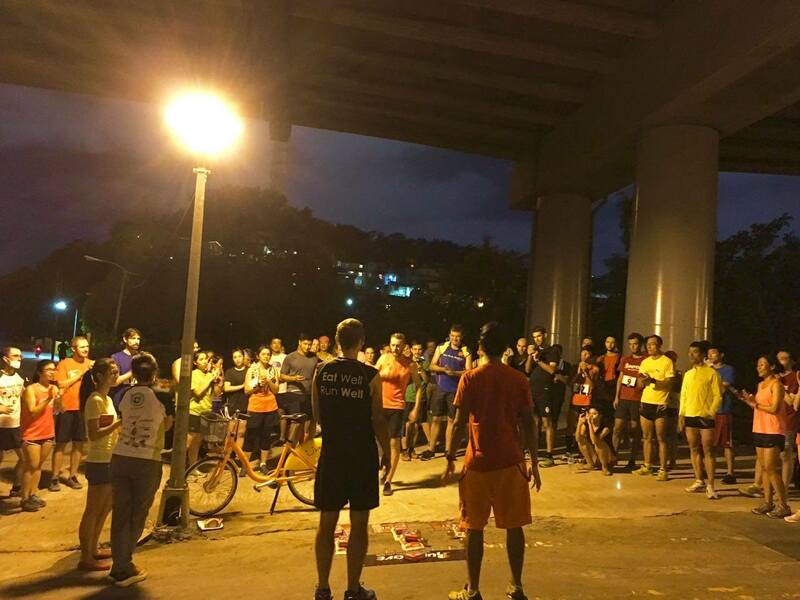 All runners that want to hang out with like-minded people, have a good time and get in a good run are welcome. Randall Vargas from Costa Rica defended his title as the fastest male at 17:50 and three seconds faster than his time in September. He was joined on the podium by two new comers: Italian Damiano Tietto at 18:04 and Paul Rose at 18:18. 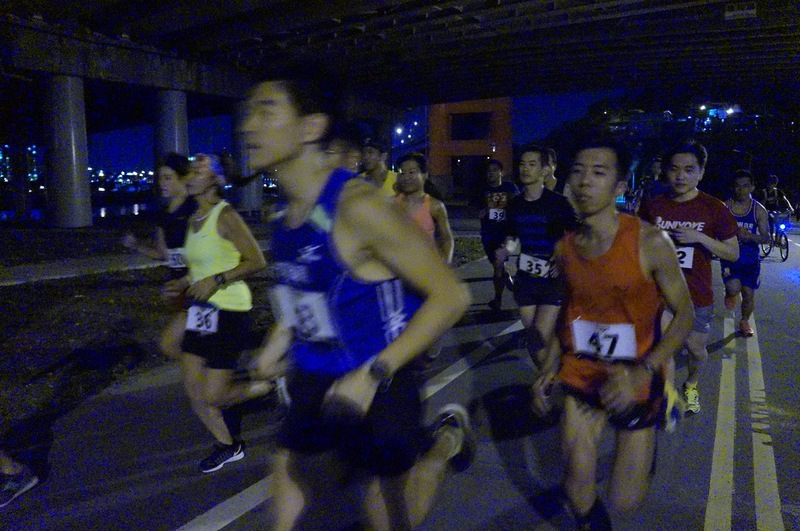 Local runner Gao QingFeng 高慶豐 at 18: 20 and Japanese Toru Fukai at 18:46, both saw massive improvements from the first edition, rounded out the top 5. 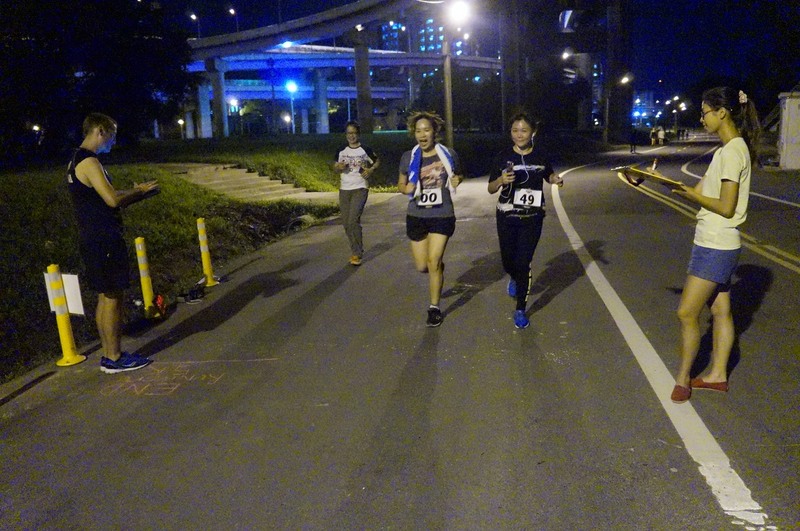 On the women side, Chen AnQi 陳琦安 ran a blistering 22:19 to unseat first edition winner Natalie Turner, who finished at a PB 23:09. 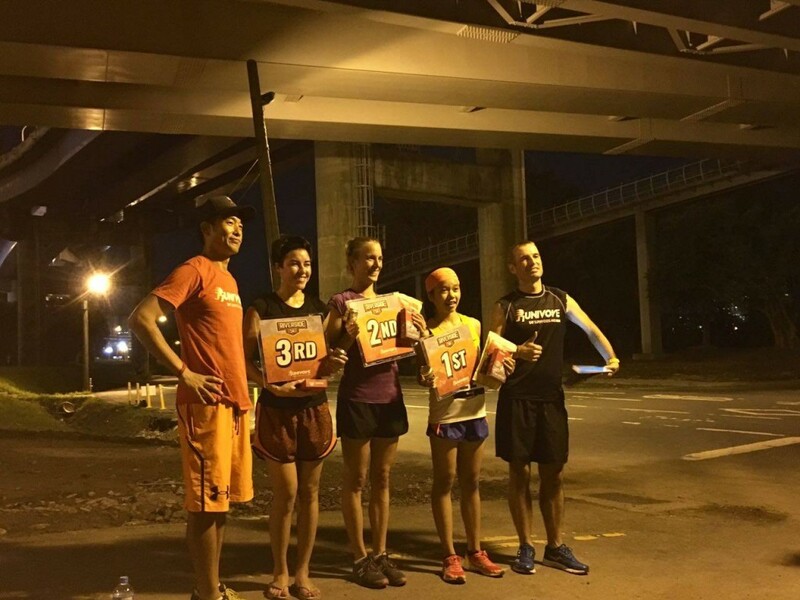 Tiana Sexton at 24:20 , Jiang YuZhen 江翊禎 25:09 and Wang YinZhi 王盈之 25:36 rounded out the top 5. Also special thanks to our volunteers. As we all know, if there are no volunteers there will be no running races and events. Thank you Maggie for checking everyone in. Thank you Lai Lai for manning the time system. Thank you Sasha for the awesome photos. Thank you Kei for holding down the fort at the turnaround. Congrats to everyone who came out. We had loads of fun and we hope to see you again next time.